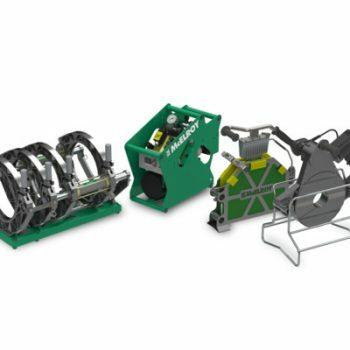 The new McElroy Acrobat 315 is helping meet the demand for larger polypropylene pipe fusion capability up to 315mm (12”) while offering low- and high-force options for polyethylene pipe. The compact, lightweight machine caters to the HVAC, plumbing and mechanical industry as well as the underground/construction world. It functions as easily indoors in tight work spaces as it does outdoors in the smallest trenches. 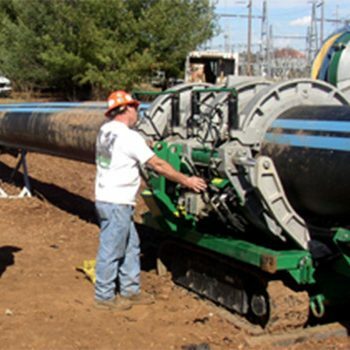 “We’re excited to offer a design with such broad appeal and are working diligently to build on these innovations as we grow the Acrobat line for larger pipe sizes,” said Jason Lawrence, director of product development at McElroy. The Acrobat 315 is a versatile machine for the polyethylene industry; it can be paired with two different hydraulic power units (HPUs) to meet the maximum system pressure desired. There are also two options for carriage pressure configurations: low force, for fusing in low-drag situations or with thinner-walled pipe; and high-force, for fusing in high drag and vertical applications. Both allow the operator to preset the facing, heating and fusing pressures. Unique to the 315 is the design of the facer which features a motor and gear reduction which creates a lightweight, compact assembly that is balanced for use in many orientations; it also has a trigger-released lock to secure it in the carriage during use. 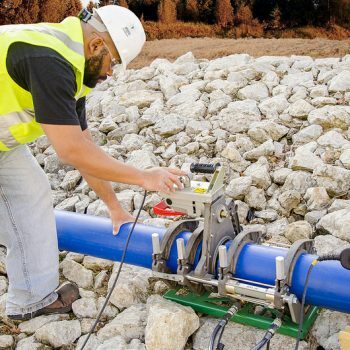 All Acrobat 315 models share benefits that make it ideal in environments using polypropylene or polyethylene pipe. The carriage converts from 4 to 3 jaws to further reduce the size of its footprint; narrow jaws allow fusions to most flanges and fittings. 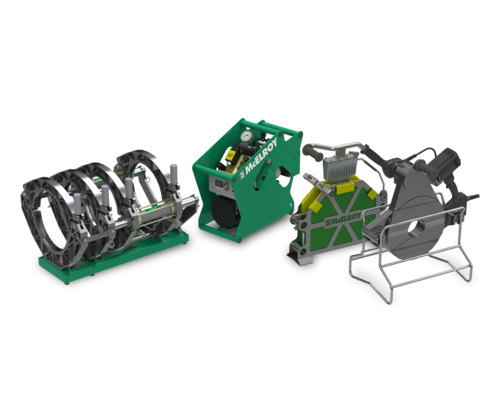 A lightweight heater and guide rod latching system helps reduce operator fatigue. Compatibility with the DataLogger® makes it possible to record joint data for analysis and added assurance that joints were fused properly. Visit mcelroy.com for more information.